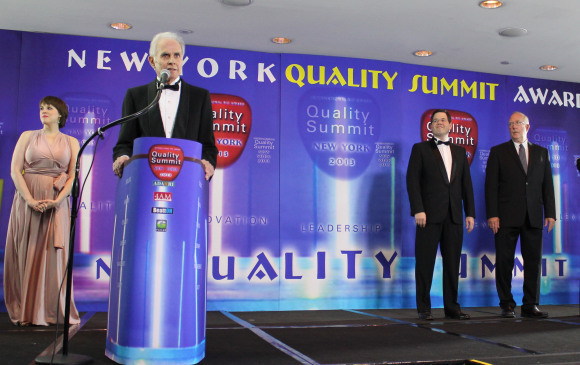 Jose E. Prieto, president of Business Initiative Directions, delivered an eloquent speech at the closing of the International Quality Summit 2013 convention that was celebrated on May 26th and 27th in the city of skyscrapers: New York. With words of encouragement and appreciation to all of the attending business men and women, Jose E. Prieto, the head of the event, beside Craig Miller, president of the QC100, and Norman Ingle, president of the Quality Mix Program, motivated all guests to continue on the road to quality that they have chosen. In their speeches, they invited this group of business leaders to continue as leaders in their respective fields. Historically, these Quality Award conventions which are held each year in New York have brought together companies from 178 countries world-wide. Do you know where I can hear the speech?